I often look to traditional designs when collecting ideas for new projects and I love trying to work out designs from old images, part written patterns and snippets of existing vintage crochet. 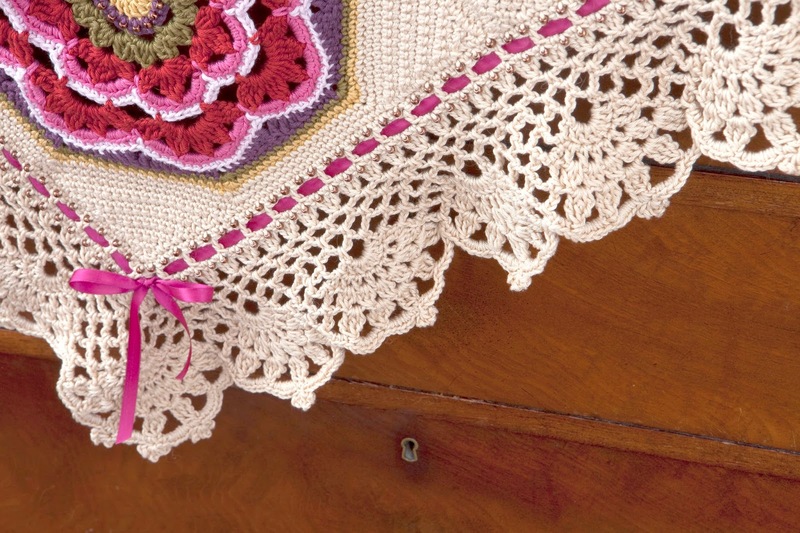 In 2012 I decided to base my crochet club project on the Victorian era and focused particularly on lace designs. The pattern for the 2012 project is no longer available, but I get asked for it pretty much on a daily basis so it seemed logical to design a new project, which echoes the design themes used in the original project. 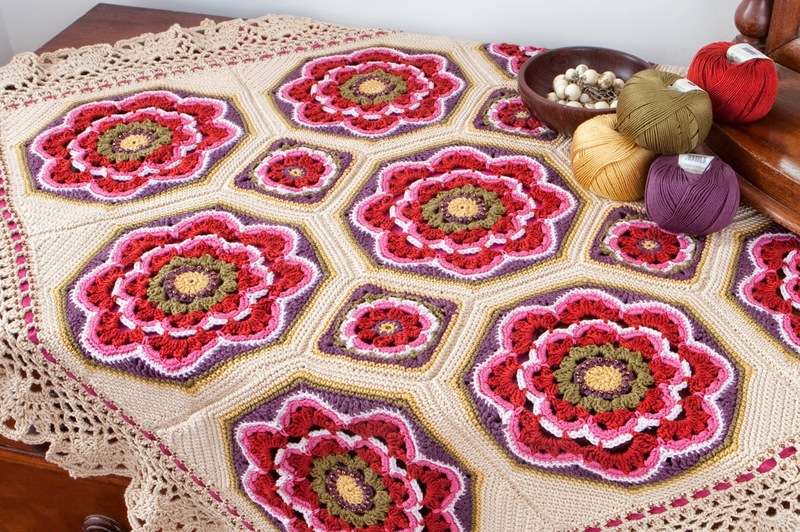 The Imogen Blanket uses brand new motifs and there are no repeats of pieces made as part of the 2012 project, however, the yarn palette, taken from the Rowan Cotton Glace range, is similar to that used previously. 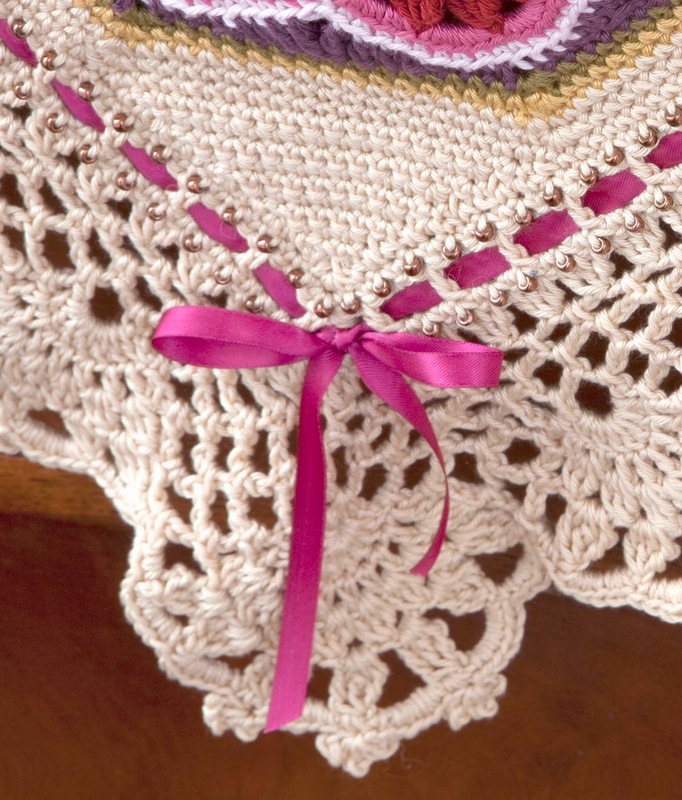 I really love the vintage feel of this blanket and wanted to echo the subdued rich yarn shades in my choice of Bronze beads from the Debbie Abrahams range, which are used on some of the motifs and as an accent on the lace border. There are just 2 motifs to master – the Princess Rose and the Victorian Daisy motifs and techniques used are relatively easy. If you haven’t crocheted with beads before you can find a demonstrative video (showing my hands threading the beads and incorporating them within the crochet fabric) on my web site along with more information about the kit. The Imogen blanket kit uses 7 shades of Rowan Cotton Glace and the kit includes 18 x 50g balls along with the beads, ribbon and of course the pattern. The kit costs £99 (based on the recommended retail price of 18 balls of yarn at £5.50 each, so the beads, ribbon and pattern are included for free). The pattern is not available separately at this time.